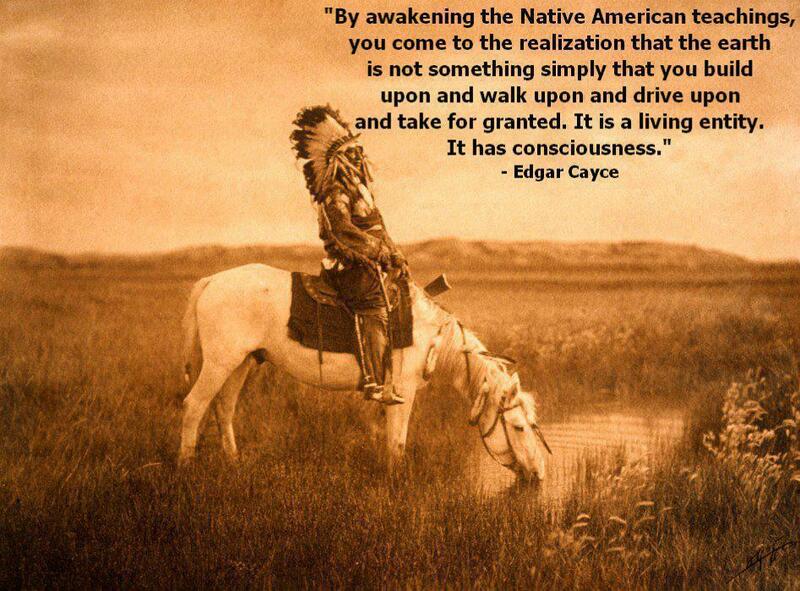 This quote and photo was posted on Facebook by the Aboriginal and Tribal Nation News and they post some very informative and interesting cultural information from Native American history and present news as well as news from Aboriginal people and groups around the world. 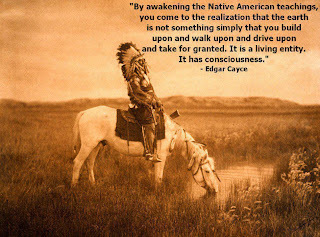 Many things can be learned from ancient teachings as Edgar Cayce examples here, and Aboriginal groups such as Native Americans, pass deep cultural teachings from there ancestors, down to each new generation. We can learn so much from ancient philosophers, theologians, spiritual leaders and so on and should perhaps pay more attention to their thoughts as well as the truth within ourselves instead of what leaders of high power and high income positions throughout the years have said or say now. Present day philosophers such as Deepak Chopra and Eckhart Tolle and others work on ancient knowledge and are proven to resonate deeply with their readers and subscribers. Stay young and keep learning.growing and sharing and you can have a worthy and happy life.